Torquay United have appointed Robbie Herrera as their assistant manager. 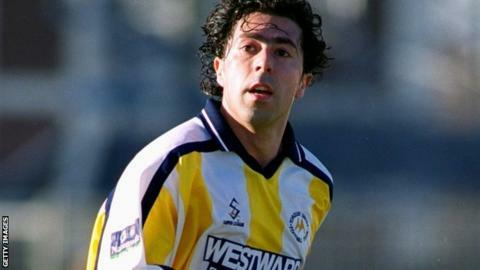 The 45-year-old previously worked with Torquay's youth team and returns to the club just four months after leaving following the club's decision to shut their academy. Herrera played 130 games for the Gulls as a player and also spent time at Queens Park Rangers and Fulham. He joins the club after Kevin Nicholson was appointed player-manager last month following Paul Cox's resignation. "I'm very happy to have Robbie work alongside me," Nicholson told BBC Sport. "He has a huge knowledge of the game and a genuine drive and hunger succeed at Torquay United. "He knows the club well and the task we face and is raring to go. Most importantly he is a man I trust and someone who I know will do everything in his power to be a success with the attitude and personality that I want about the place."